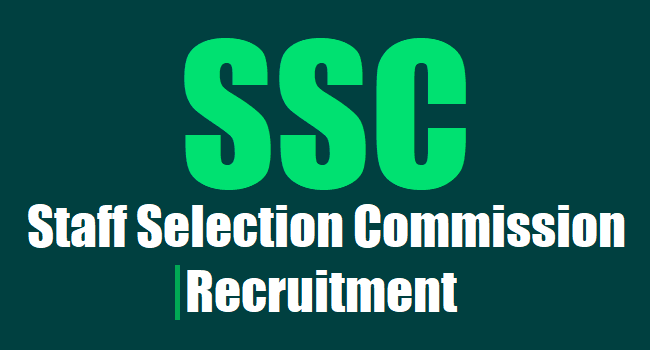 SSC Recruitment SSC Combined Graduate Level(CGL) Examination 2017 Notification,SSC CGL 2017 Notification Released, Apply from May 16: SSC Recruitment 2017 Apply Online for Combined Graduate Level Exam: Staff Selection Commission (SSC) has published notification to conduct Combined Graduate Level Exam 2017 for the recruitment of Assistant Audit Officer, Assistant Accounts Officer, Assistant Section Officer, Assistant, Assistant/ Superintendent, Inspector of Income Tax, Assistant Enforcement Officer vacancies. Eligible candidates may apply online from 16-05-2017 to 16-06-2017 by 05:00 PM. Other details like age limit, educational qualification, selection process, application fee & how to apply details are given below… The notification was expected in March 2017 and is almost two months delayed. The release of the notification has brought a sigh relief for many government job aspirants. The application process will start today. Like last year, this year too the Tier I exam will be conducted in the online mode. As per the notification the whole recruitment cycle for SSC CGL 2017 will end in February 2018. Age Limit: Candidates age limit should be not exceeding 30 years (He/ she must have been born not earlier than 02-08-1987 and not later than 01-08-1999) for Post No. 01, 02, 04, 10, 12, 13, 16, 17 & 20, between 20 - 30 years (He/ she must have been born not earlier than 02-08-1987 and not later than 01-08-1997) for Post No. 03, 05 to 07, 09 & 18 and 18 – 27 years (He/ she must have been born not earlier than 02-08-1990 and not later than 01-08-1999) for Post No. 08, 11, 14, 15 & 19 as on 01-08-2017. For more age details refer the notification. Age relaxation is applicable to 05 years for SC/ ST candidates, 03 years for OBC, 10 years for PH, 13 years for PH + OBC and 15 years for PH + SC/ ST candidates. For more relaxation details refer the notification. Educational Qualification: Candidates should possess Bachelor’s Degree from a recognized University or Institute for Post No. 01 to 22 & 24 to 32 and Bachelor’s Degree in any subject from a recognized University or Institute with at least 60% Marks in Mathematics at 12th standard level or Bachelor’s Degree in any subject with Statistics as one of the subjects at degree level for Post No. 23 with relevant experience. Selection Process: Candidates will be selected based on Computer Based Examination, Descriptive Test, Skill Test, Documents Verification & Interview. Application Fee: Candidates should pay Rs. 100/- through SBI Challan/ SBI Net banking or through credit/ debit cards of any bank. This is a single registration process. Those who qualify for Tier 2 exam shall not register again. SSC CGL 2017 Online Registration Form: Online registration for SSC CGL 2017 to begin today. Bringing an end to the long wait of aspirants, Staff Selection Commission (SSC) has finally released the official notification for Combined Graduate Level (CGL) 2017. The recruitment examination, which is conducted by the Commission for graduates has been the most awaited exams of the year. Online registration for SSC CGL 2017 will continue till 16 June 2017 for the Tier I exam. Considered to be one of the most sought after examinations, SSC CGL is held every year for filling up different categories of posts in various Ministries/ Departments/ Organisations. Last Date to Apply Online & Generation of Challan: 19-06-2017 by 05:00 PM. SSC CGL 2017 Registration To Close On 19 June: Taking the issues faced by candidates, into consideration, Staff Selection Commission (SSC) had extended the last date for online registration for SSC CGL 2017. The application process which was supposed to be over by 16 June was extended till 19 June. Two days prior to the deadline, website slowed down and candidates were unable to submit their application / deposit their fee. Applicants took to social media platforms and expressed their frustration. It was on the last day, the Commission announced an extension in the date. SSC CGL 2017 online registration will end on 19 June 2017 (Monday). Applicants will be able to register themselves for the exam till 5 pm on the same day. With just a day left for the registration, SSC CGL 2017 aspirants should complete formalities of online registration if they have not yet. The selection process is likely to be completed by February- March 2018. Women candidates and candidates belonging to Scheduled Caste, Scheduled Tribe, Physically Handicapped, and Ex-Servicemen eligible for reservation are exempted from paying application fee. For others the application fee is Rs. 100. Tier 1 and 2 will be computer based and Tier 3 will be in pen and paper mode. Tier 4 will be a skill test/ computer proficiency test. About SSC: The Staff Selection Commission (SSC) is an organisation that works under the government of India to recruit staff for various posts in the various ministries and departments and in subordinate offices. The commission also conducts examinations for the recruitment in various departments of the state. For any query related to examination, all the candidates are advised to check the official notification.